For progress in the world economy, development of new technologies related to the sea such as safe maritime transportation, ocean development, utilization of ocean space, and reduction of environmental impact are necessary. As to vessels and utilization of the ocean, new technological development in response to new needs must be pursued. For this, regarding technologies relative to shipbuilding, marine equipment and the ocean, OPRF contributes to new technological and societal development through subsidizing and financing enterprises that conduct the necessary research and development. The OPRF Technology Development Fund was successful in bringing various R&D projects into practical use. By the end of the project, subsidies for 540 projects between 1980 and 2014 totaled 11 billion yen, while financing of a further 46 totaled 3.9 billion yen. 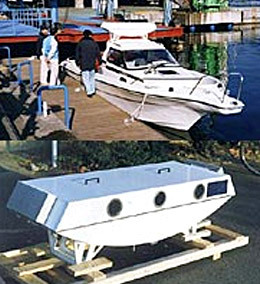 A small vessel pilot's simulator for training was developed. 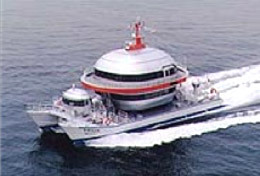 The new ship hull form was designed, in order to reduce necessary engine power down to 70% when it runs at 20 knots. 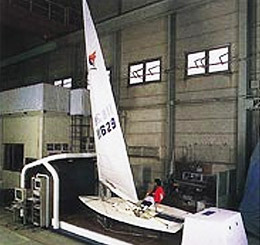 Ship's rolling/pitching reducing mechanism, in which the cabin is supported by oil pressure equipment, was developed. It is of a new idea which arranges two propellers each other rotated to an opposite direction. This equipment prevents ship's rolling by the combination of the effect of natural gravity and control of active weight. 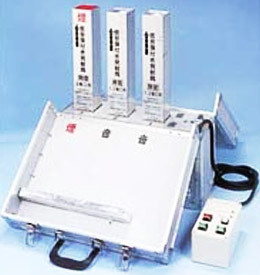 The rocket signal cartridge was developed, which can tell tsunami coming by sound and smoke to the range of 4km radius. 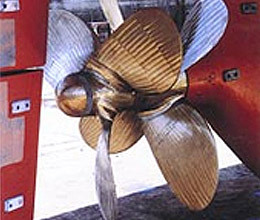 A technical development for practical design of a new ship bow with little wave resistance, named "Ax-Bow," was carried out.